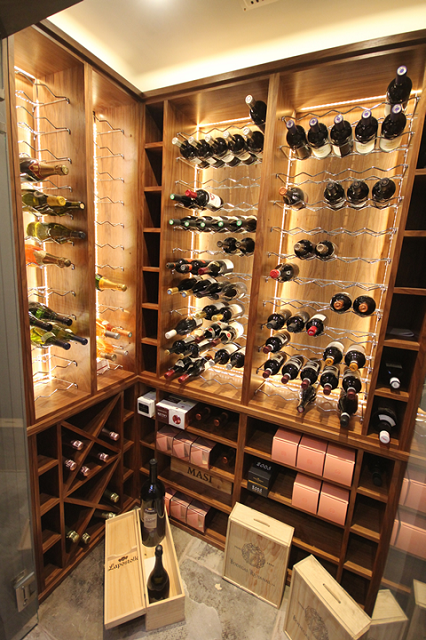 Wine storage wine cellar in walnut with feature lighting. Also, a contemporary painted ash storage dresser with feature lighting and glass shelves. 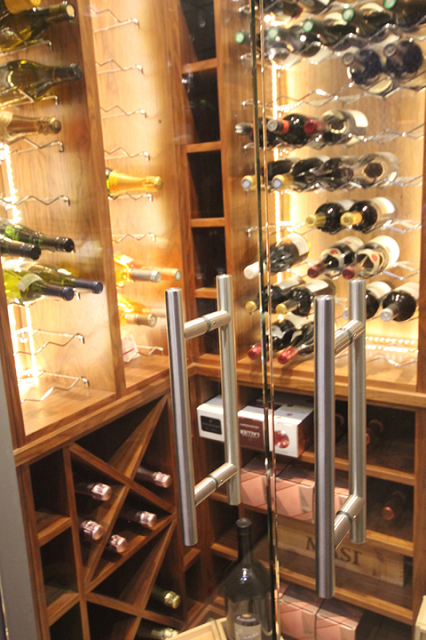 The wine cellar / wine storage / wine racking is made from solid walnut veneered boards with polished chrome wire racking, feature LED lighting and a range of wine storage shelves. The shelving is carefully fitted into the small room to really maximise the storage capabilities. With glass doors and the feature lighting – the room is a fantastic focal point. The storage dresser is a stunning contemporary creation in grey painted ash. The base of the dresser provides lots of storage behind 4 doors with lovely polished chrome handles. Above – the dresser is shallower and includes plenty of adjustable glass shelving with LED spot lights shining down. 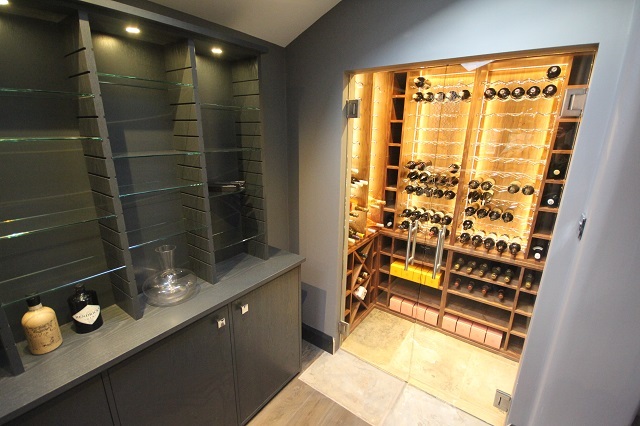 Paul Case Furniture have designed a number of wine cellars and wine storage solutions for clients and will be happy to create similar or bespoke designs for other residential or hospitality locations. 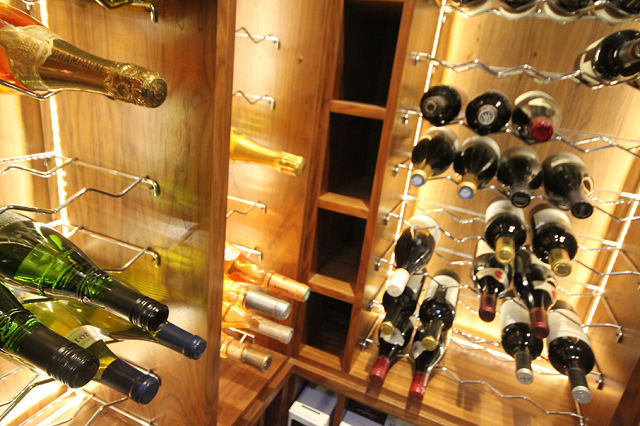 The wine cellars can be manufactured in our Lancashire workshop and then installed by us anywhere in the country.